Come join us for a fantastic morning filled with pups, pop-ups and raffle drawings during our very first West Sacramento community event! Our donation based dog walk is ideal for those looking to meet and mingle with their fellow furry community, give back to local shelters, (proceeds will go to Yolo County Sheriff-Animal Services and Pug Rescue of Sacramento) and have the opportunity to win some amazing raffle prizes. Bring your dog or take one of the shelters rescue pups on a walk inside our La Mesa RV showroom and enjoy complimentary dog treats along the way. Is your furry friend in need of new portraits? We’ve got you covered with our puppy photo booth! We’re telling you now, you don’t want to miss what we have in store. If that collar of Fido’s is running a little ragged, be sure to stop by our DIY bandana station to outfit your buddy with a new neckpiece. We will also have pop-up shops from local doggy businesses: Dog Gone Licious Boutique, Midtown Mutts, Pug Rescue of Sacramento and Yolo County Sheriff-Animal Services. If you’ve been looking for your new best friend but haven’t been able to decide on which shelter to adopt from, we suggest you stop by our rescue pup station held by Yolo County and Pug Rescue of Sacramento. Who knows, you might fall in love and leave the event with a new family member! We’re also offering you a unique opportunity to learn from the best by holding an educational workshop by Midtown Mutts. 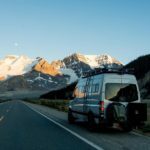 Titled, “Life on the Road with Your Pup,” this workshop will teach you everything you need to know from reading your pups body language, identifying signs of stress and ways to adjust their environment in order to create a safer space for them and those around while traveling in your RV. If you have any questions about our community dog walk, leave us a comment below and we will get back to you asap! 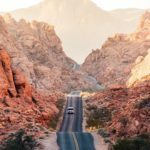 Will you be attending our West Sacramento event? Let us know in the comment section! We can’t wait to see you there! It’s going to be fur-tastic! Hey Buddy!, I found this information for you: "Event: La Mesa RV West Sacramento Community Dog Walk Event". 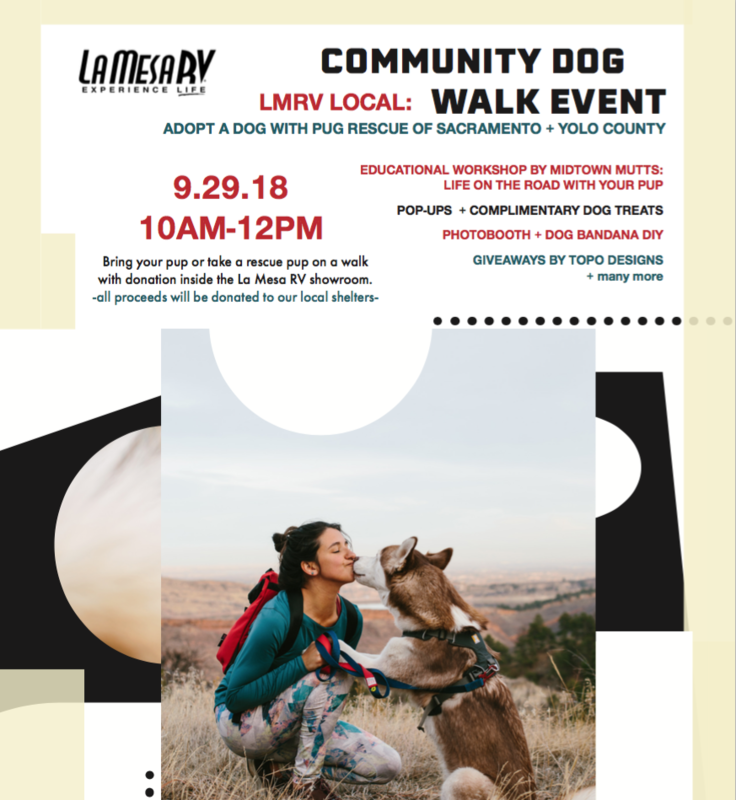 Here is the website link: https://experiencelife.lamesarv.com/2018/09/event-la-mesa-rv-west-sacramento-community-dog-walk-event/. Thank you.